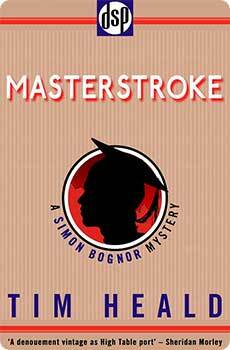 After a boozy Oxford reunion, Bognor is distressed to learn one of his classmates is a killer. Nothing depresses Simon Bognor like a university reunion. Every pimply-faced boy he knew two decades prior has made something of himself, while Bognor languishes at the Board of Trade, muddling along in an investigatory position for which he is hideously unqualified. Although more often than not his job requires catching murderers, he lacks even the observational powers to notice when the head of his old college has been poisoned. Both quite drunk, they totter off to their respective beds. Bognor makes it, but the master doesn’t – he collapses dead at the top of the stairs. Due to the dead man’s ties to the government, Bognor is asked to sort out who did him in. At long last he has the opportunity to prove himself at his old college—but Bognor knows it is just as likely that he will end up in the dunce’s cap.